Just finished up on the design I’m doing for North Texas RPG Con X. This dude is emerging from the “O” in CON and I thought I would share. There are 9 others moving in an out of the letters. Adding color makes the concept a little different than a one- or two- color design. I decided to sacrifice legibility for dazzle. 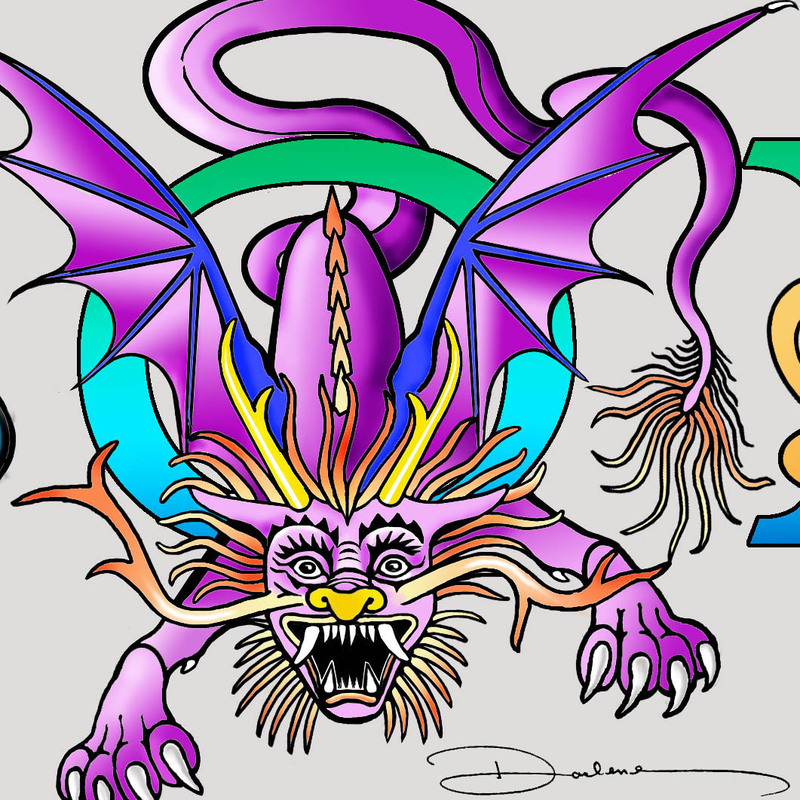 This entry was posted in For the LOVE of LETTERS, New Illustrations, The Creative Process, Uncategorized and tagged Chinese Dragon, colorful dragon, dragon, NTRPG on March 28, 2018 by Darlene. I’m gonna miss being at NTXRPG Con this year. Hope to see you there in 2019!! But…but you’re the best reason for going! I will miss you and Mary also!